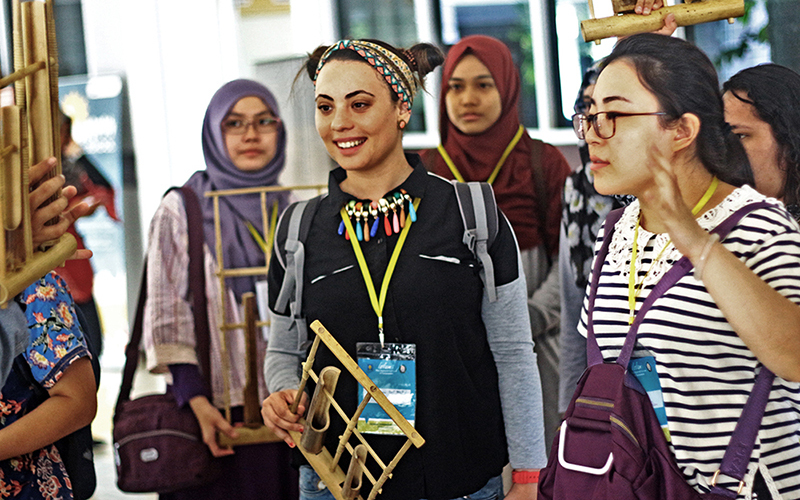 International Program (IP) is an international class organized by several undergraduate study programs at UII (see table) which uses a foreign languages (English and/or Arabic) as the language of instruction. IP UII has a variety of supporting activities designed to help students adapt learning environments in university and improve academic skills through matriculation program (Bridging Program) as well as series of Character Building Programs that aim to strengthen the students’ non-technical skills to be able to compete in global world (global leadership). IP UII students also have the opportunity to access international mobility activities with UII’s partner universities abroad, such as student exchanges, double degree programs, and more. The language of instruction in IP UII classes are fully organized in English. For Ahwal Al Syakhshiyah Study Program, the language of instruction is Arabic (70%) and English (30%). While for Communication Studies Program, English language will be use for selected subjects only. Some courses at IP UII offer a wide range of global mobility options, such as dual degree programs with some of our partner universities abroad, such as with Saxion University of Applied Sciences (Netherlands), University of Gloucestershire (UK), Youngsan University (South Korea), The University of Queensland (Australia), and Nanjing Xiaozhuang University (China). Students enrolled in the International Program can also participate in a one-semester credit transfer program, such as those implemented at Solbridge International School of Business (South Korea) and other global mobility activities offered by UII partner universities overseas. Advantages of being a IP students is not only limited to the use of English (and/or Arabic) as the language of instruction in lectures. IP UII also developed Character Building Program (CBP) which consists of a series of character building and soft skills training through variousprograms such as Bridging Program, Outbound Management Training, Leadership Training, and several other activities. The results of the IP alumni tracer study showed that most IP graduates are able to obtain work in accordance with their competence, both inside and outside the country, within a period of less than 4 (four) months after graduation. This proves that IP UII has successfully established competitive graduates in today’s global competition. Several UII IP graduates currently occupying prestigious executive positions at multinational companies include Syah Rizal Hamdallah, Head of The Futurist – Innovation Lab at Tyson Foods (Former Director, Fellow Global Innovation & Breakthrough Navigation at SC Johnson); and Dimas Novriandi, AVP Jenius Social & Brand Activation Lead, PT Bank Tabungan Pensiunan Nasional Tbk – BTPN (Former Head of Business Development at Mirum Agency), and Iswoyo Seno Saputro, Marketing Director at Maesindo Indonesia. In addition, many UII IP alumni are now working in government institutions such as Amita Pramasufi, Third Secretary for Protocol and Economic Affairs, Embassy of the Republic of Indonesia in Sofia, Bulgaria; and Adib Zaidani Abdurrochman, Third Secretary for Economic Affairs (Trade Specialist) at the Embassy of the Republic of Indonesia in Pretoria, South Africa.